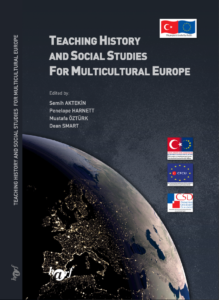 The book "Teaching History and Social Studies for multicultural Europe" is one of the outputs of the project, entitled ‘Training Social Studies and History Educators for Multicultural Europe’ which is being undertaken in the framework of the EU Promotion of the Civil Society Dialogue Programme between Turkey and the EU. It is intended to fill a knowledge gap in terms of social studies and history teaching in the context of innovative pedagogy and multicultural values. Our guiding principles when writing this book were identifying new approaches to history and social studies education where they are needed in Turkey, the UK and elsewhere. In fact this book along with other project materials aims to make a contribution to the successful implementation of the new social studies and history curriculum. 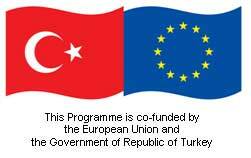 The project products are hoped to be useful in terms of facilitating the change process initiated by the Ministry of Education in the field of history and social studies education in Turkey. 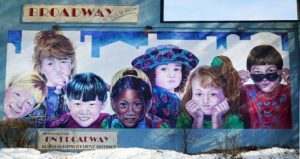 Respecting human rights, participatory democracy, multiculturalism, social justice, protecting the environment and cultural heritage, reducing discrimination in terms of gender and race are some of the values that our history and social studies teachers and student teachers should learn how to teach. The book targets lecturers in history and social studies education departments, trainee teachers and history and social studies teachers. However, other interested parties, such as the Ministry of Education, policy makers, curriculum developers, textbook writers, parents and the wider society could also benefit from the theoretical issues raised in these books. Editors: Semih Aktekín, Penelope Harnett, Mustafa Öztürk, Dean Smart. Layout and Proofreading: Harf Eğitim Yayıncılığı. Authors: Semih Aktekín, Penelope Harnett, Cevdet Kirpik, Joke van der Leeuw-Roord, Mustafa Öztürk, Ian Philips, Abdullah Saydam, Dean Smart, Coşkun Topal.